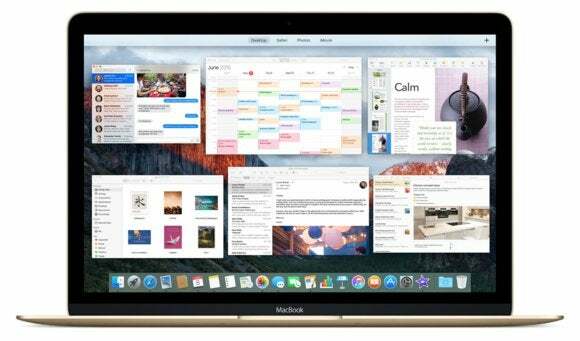 A a single click solves this long-running problem related to multiple displays and Mission Control desktops. I wanted to use the option in the Mission Control preference pane labeled Displays Have Separate Spaces. I always want certain apps in my smaller, right-hand display, which is off to the side, and other apps always in the main 16:9-proportioned newer, central monitor. 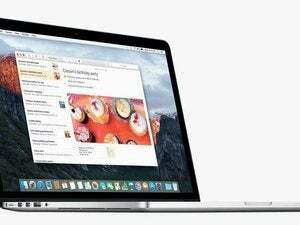 In some cases, such as my email software, I want the window in the right-hand screen, but new messages to appear on the main screen, which also contains the default system menu bar and drives. However, despite getting this to work years ago, at some point it broke—maybe in Mavericks. No matter what I tried nor what advice I found online or from colleagues, I couldn’t restore the ability to assign displays from the Dock. When this works, you should be able to Control-click an app icon and select within the Options menu’s Assign menu among All Displays, desktops by number (1 and 2 in my case), and None. 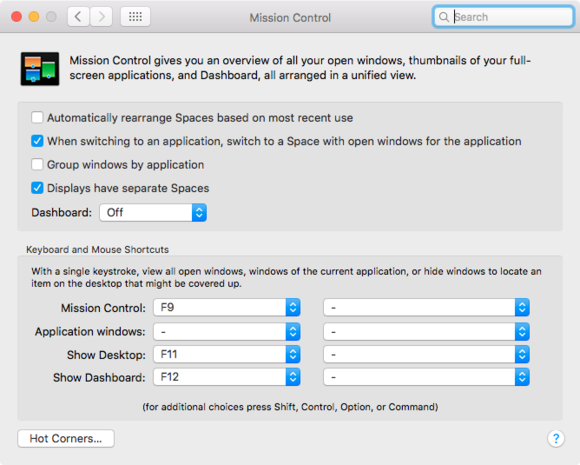 Mission Control’s preference pane lets you treat desktops as separate Spaces. When it works! The answer was simple, but I’d tried it before in Mavericks and Yosemite to no avail. In the Mission Control preference, set the separate displays option. You will need to log out and back in to have it take effect. On the main display, click the + sign at far right. This creates a new Space. Exit Mission Control by pressing Escape. You should now have Options > Assign To in your contextual Dock app menus.